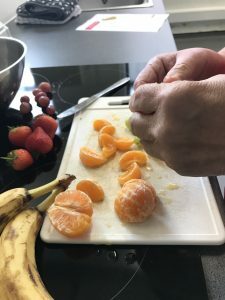 Since teaching men over 55 years on the Man with a Pan programme with Age UK some of whom have dementia last year, I have a precious opportunity with the Richmond Adult and Community College to teach some adult LLDD cookery. LLDD, which stand for Learners with Learning Difficulties and/or Disabilities, are considered as marginal groups in our society who do not have equal access to education and learning opportunities due to physical and mental challenges. The first time I worked with any LLDD was back at a community centre in Hong Kong as a student health ambassador which was nearly 20 years ago. I remembered feeling positive about making a difference to these members, but life ‘got in the way’ and with other commitments, and sadly had few opportunities to re-engage with these learners. Nutrition is a wide-ranging discipline. Regardless how many people consider it as a way for us to learn about any miracle solutions to lose weight, it offers us a lens to study how human lives are nourished by food. This has only become more relevant for me personally and professionally. Only having lived away from ‘home’, and now as a mother, that I begin to understand the ways that food doesn’t only feed us physically but also emotionally and plays such an important role in social situations – sometimes to make / break relationships. After all, food offers so many sensory properties which have a magical touch to people’s lives. Last year, I also began teaching at a women’s day centre in central London. My objective was to teach simple nutritional messages whilst cooking a feature dish with the female learners, some with mental health issues. Pitching the ‘language’ to suit learners of different levels is definitely a challenge, but also taking the time to understand their living situations is another. For example, we could well say ‘for a quick way to cook porridge, just add breakfast oats with milk or water to a bowl and cook for 2 minutes in the microwave’, but many of these learners, who struggle for a shelter over the head, do not even have access to infrastructure or facilities to allow them to do so. 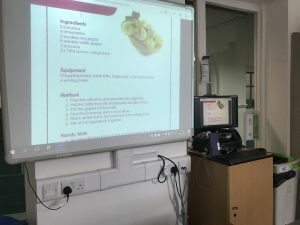 Recently, I started at teaching the ‘Cookery and Numbers’ course at the Richmond Adult Community Centre (RACC) for LLDD learners. Some come in with their support workers, who are great help for me to know their individual levels – can they introduce themselves? can they make simple conversations? can they do simple counting? measurements? can they mix? use the knife? use the oven? How about the equipment? 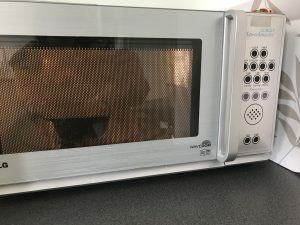 The RACC also offers a couple of LLDD user-friendly equipment including adjustable platforms for wheelchair users and audible microwave cookers. I’m still learning as I go, but by creating simple dishes from start to finish, the learners get to practise many additional skills such as numbers in measuring, and motor skills for mixing, slicing, grating and slicing, these sessions also offer an opportunity to socialise with their fellow learners. 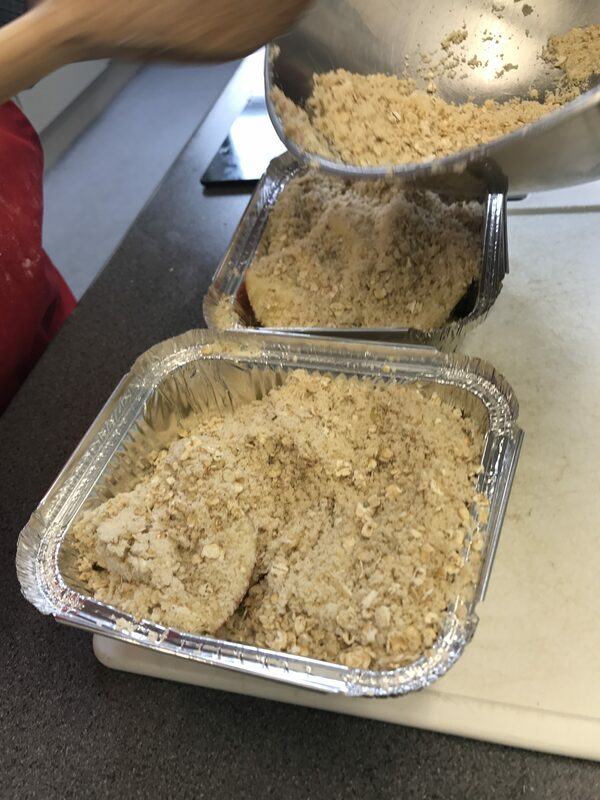 Some sessions we have done so far include: a fruit salad, savoury muffins and apple crumble. It is also my job to ensure all ingredients and containers are purchased within a tight budget (I have around £12-£15 per session), so there’s really plenty to juggle! Using Food – a fact of life resources which I helped developed!